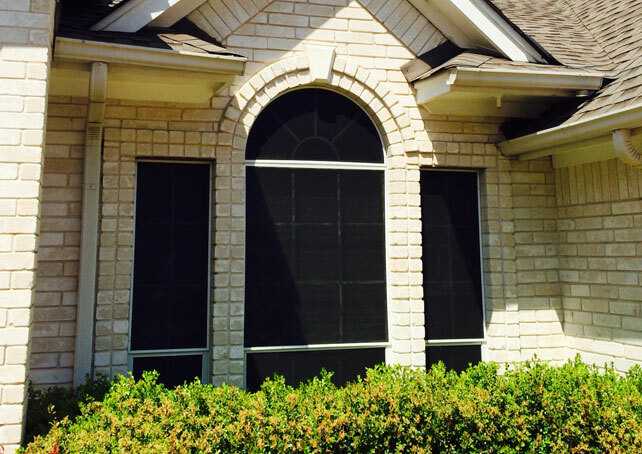 Less expensive than new windows, solar screens are ideal for those windows that receive too much sun exposure. Overexposure wastes money on utility bills and it makes rooms uncomfortable. Solar screens can also reduce fading floors and furniture as an added bonus. Solar screens work by controlling the amount of sunlight entering your home. Only add solar screens to windows exposed to the South, West, or East (in that priority). Screens work better than window tint but are more obvious. In most cases, solar screens do not void your window warranty. Always consult with your manufacturer to be certain. Not all solar screens are the same. Materials and methods can vary meaning performance will too.